Hey there. How’s it going today? But definitely not in the mood to cook. In these situations, I rely on my son. Not that he will actually cook dinner, but he is adventurous enough to try an easy recipe from my food & stuff Pinterest board. Yes I am very lucky, I can get that boy to sit next to me on the couch and check out Pinterest food. Score. A while back, I pinned this while my child was surfing pins from the couch with me. 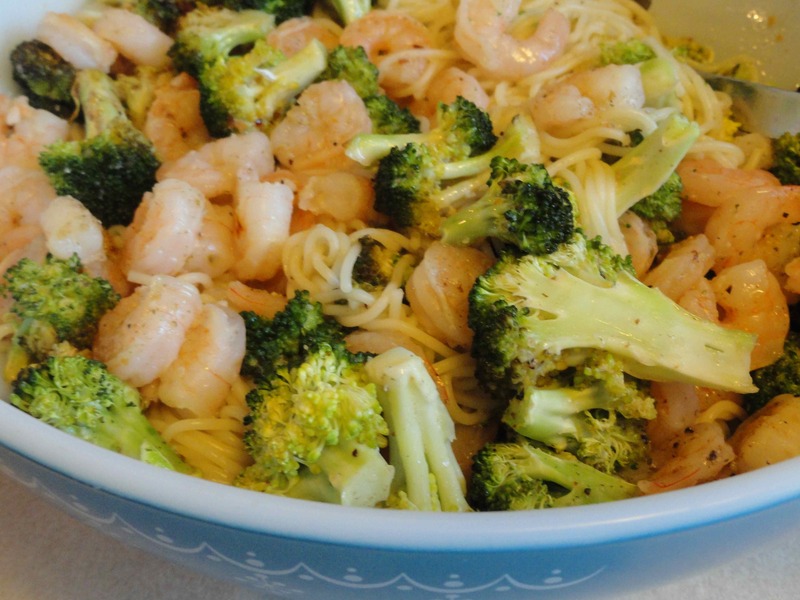 He’s a sucker for a shrimp recipe, and he wants pasta with everything right now. 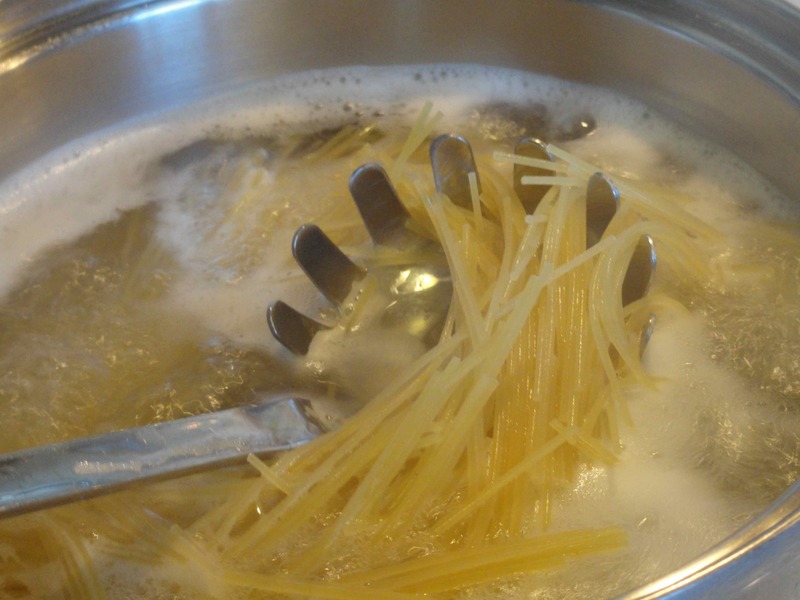 Naturally, his suggestion was to tweak this recipe and pair it with angle hair pasta. He was quick about it when I told him it had to be easy or he would be getting a sandwich for dinner. Let’s get to it…here’s our version. Line a boiler pan with foil and melt the butter in it while the oven is heating. 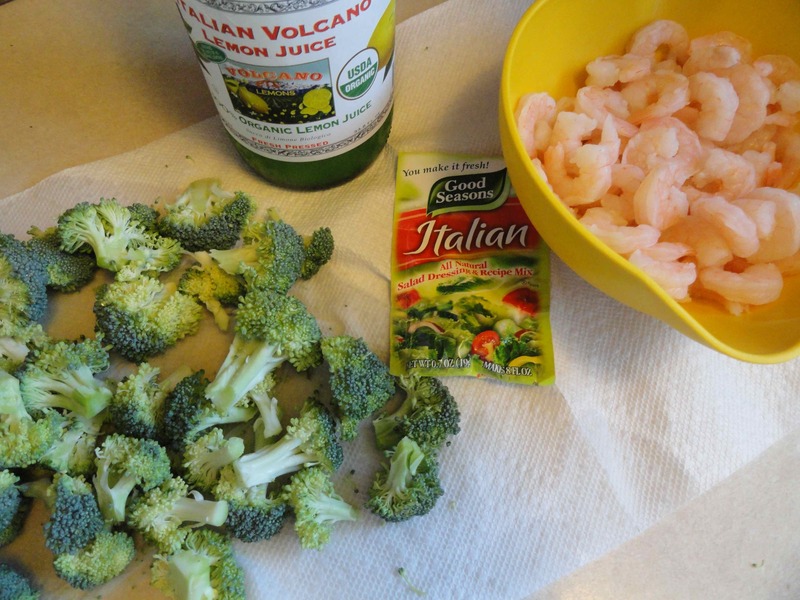 Remove it from the oven, add the lemon juice, broccoli, and shrimp and top it with the italian seasoning. 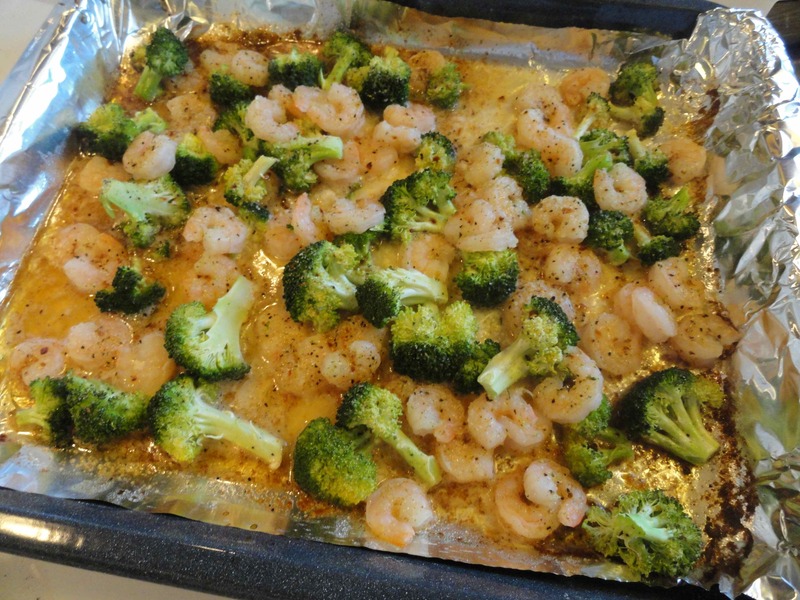 Pop it back in the oven for about 15 minutes on 350 degrees for raw shrimp, or under the broiler for only about 8 minutes on low for cooked shrimp. 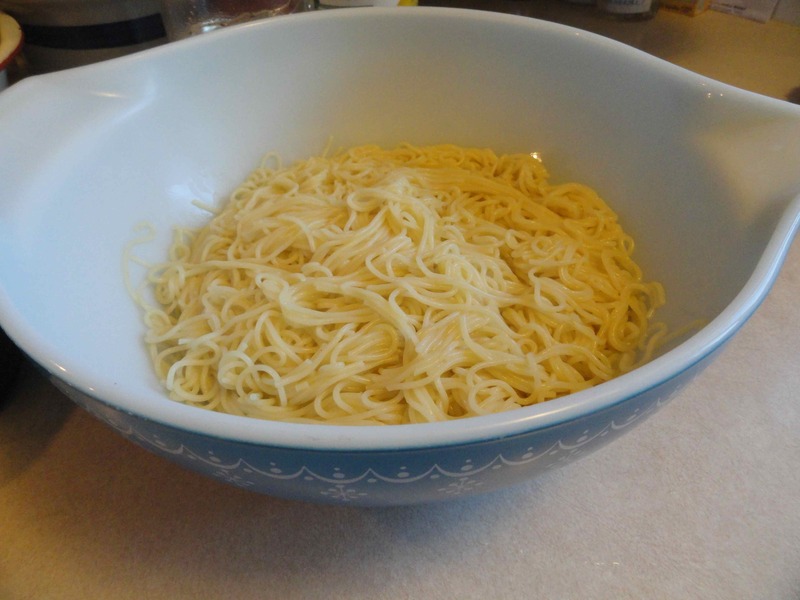 Toss with the drained pasta and enjoy. We like the broccoli on the crisp-side, but you could pre-steam it for a couple of minutes if you prefer it more thoroughly cooked. Not bad for a first go around at our house. My foodie child told me next time to back off on the lemon. He wasn’t so keen on the strong lemon flavor of the dish. 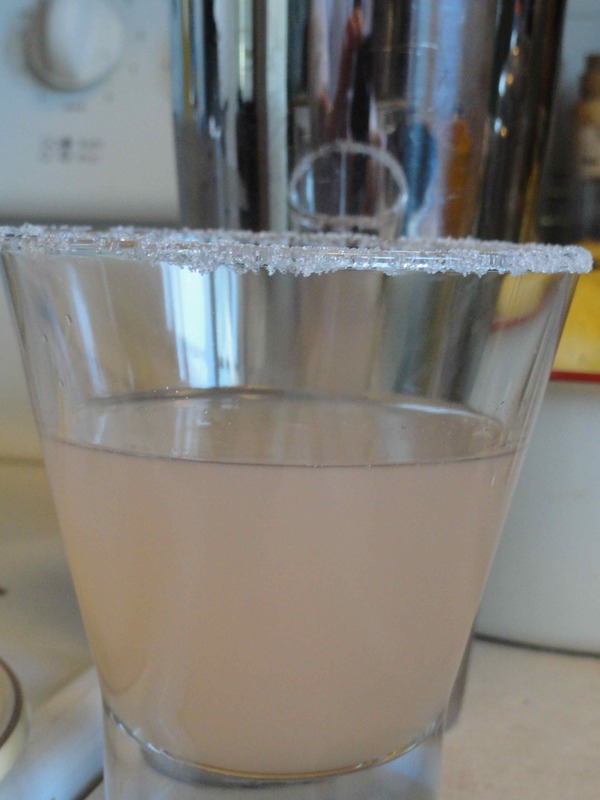 Since the lemon juice was staring me down from the corner of the kitchen; I made 1 little, itty-bitty pink lemondrop martooni. Next time, I think I will try some different seasoning too. Maybe a dry soup mix. And check it out, the bowl I served it in? Yeah, that was a *stellar* find at a garage sale this weekend. 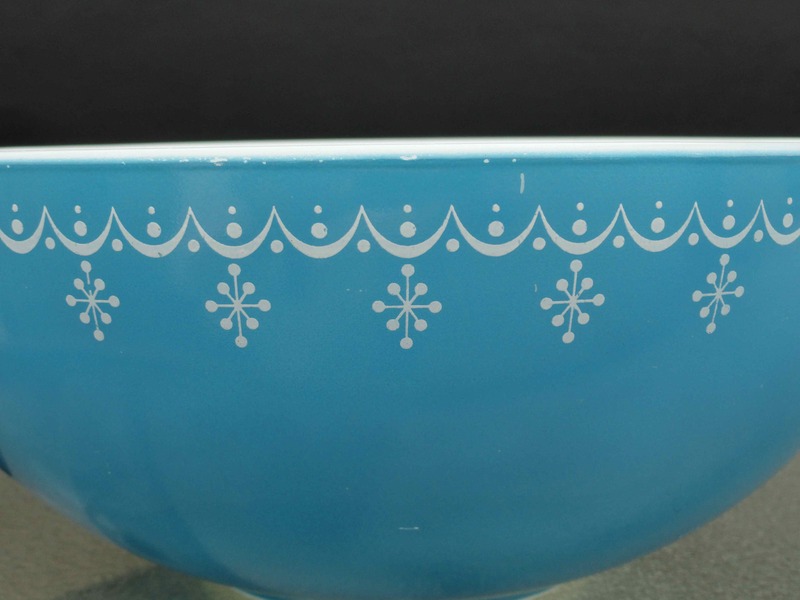 Vintage pyrex is always on my radar and I got this piece for a song. Again I say, score. Good for you, getting your son into the kitchen – and what great results!